Cloud integration is a tricky issue for organizations of all kinds. When it comes to federal agencies, the challenge is even greater, thanks to the intricate and expansive nature of government departments. Yet despite these difficulties, the federal government has demonstrated impressive results in the realm of cloud integration. As several recent reports highlighted, a number of agencies have made significant strides in terms of cloud adoption lately, suggesting that more widespread cloud integration efforts are likely on the way. One of the more noteworthy examples of the federal government's embrace of cloud integration can be found at the National Security Agency. Speaking at the recent Amazon Public Sector Symposium, Alex Voultepsis, chief of the engineering and planning process for the NSA's Intelligence Community Service Operations Group, announced that the agency will move a significant portion of its IT operations into AWS cloud environments, TechTarget reported. Specifically, Voultepsis noted that the NSA will migrate its Intelink portfolio – a system used for collaboration, discovery and information sharing among authorized NSA personnel. 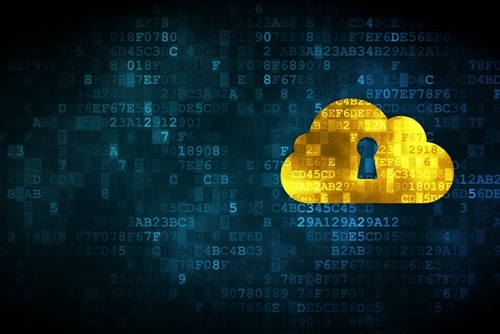 "The NSA using the cloud demonstrates these solutions can be secured." This announcement is particularly noteworthy given the highly sensitive nature of the data the NSA handles. Ever since the cloud first began to gain mainstream acceptance, security has been the predominant issue preventing organizations – including many public sector firms – from fully embracing the technology. The simple fact that the NSA is now using the cloud for its own information management demonstrates to other agencies that these solutions can be utilized safely and securely. "The capabilities are there to meet our specialized needs for confidentiality, integrity and availability [of data]," Voultepsis said, according to TechTarget. "We can shift our focus from commodity things to mission-focused customer-facing things." As the source noted, the NSA's security concerns mirrored those of the CIA, which previously moved a significant portion of its own IT infrastructure into an AWS cloud. For the CIA's migration, AWS created a new region, Commercial Cloud Services, specifically to account for the CIA's classified data. Now, this region will be available to all federal intelligence agencies, with the NSA being the most prominent to follow the CIA's lead. Other groups to have embraced this specific form of cloud integration include the national Geospatial-Intelligence Agency and National Reconnaissance Office. As more follow suit, all of the involved agencies stand to benefit from improved collaboration and communication, as encouraged by cloud use. "We've embraced the director of national intelligence's … vision of providing intelligence integration," said Jason Hess, the NGA's cloud security manager for the office of the chief information officer, TechTarget reported. "We cannot continue to operate in the silo mentality of each agency not talking to each other … we're leveraging this initiative to start working together." "All of the involved agencies stand to benefit from improved collaboration." The growing role played by cloud solutions can be further seen in one of the biggest government IT stories in years: the recovery of the Healthcare.gov website. As Jon Booth, director of Healthcare.gov, told TechTarget in a a separate report, the website was only able to survive by moving to a cloud platform that was capable of remaining operational even as traffic spiked to tremendous levels during the open enrollment period. At the same time, Booth emphasized the need for the website to remain fully protected from potential cyberattacks. To this end, the government worked closely with its cloud services provider to improve and then maintain Healthcare.Gov's performance. This highlights not only the increasingly important support that cloud integration is providing to government IT, but also the cloud's impact on governance in general. After all, Healthcare.gov was a central component of the Affordable Care Act. The simple fact that such a major piece of legislation was dependent upon cloud integration suggests that the federal government's embrace of hosted solutions is not likely to recede any time soon. The increasing acceptance of cloud computing's cybersecurity has had a major influence on this development. Whereas fears surrounding cloud security have by no means disappeared, many decision-makers now have a much better grasp on the issue and have come to realize that cloud integration does not necessarily present a threat to data security. On the contrary, such a transformation can even help to shore up cyberdefenses. Speaking to TechTarget, Mark Schwartz, CIO of the U.S. Citizenship and Immigration Services program within the Department of Homeland Security, emphasized that the cloud has made it easier for his department to address cybersecurity issues. "If we discover a vulnerability, it's easy to patch it quickly, or tear down virtual machines and start new ones," he said, according to the news source. Given all of this, it's easy to see that government agencies will need to increase their reliance on cloud solutions in the coming years in order to maximize their constituent services and overall performance.